2. Create a shared folder in Dropbox and share it with the other users. b. Locate the New Folder icon and click it. c. A text box appears. Type the name for the new folder in it, "Family Photos"
d. After you press Enter, find the folder "Family Photos" in the list and double click on it. e. The folder is opened. At the top, find and click on the Share icon. f. A dialog box appears. g. Enter in the email addresses for the others in the family, using the email addresses you used to create their Dropbox accounts. When done, click the Share Folder icon. 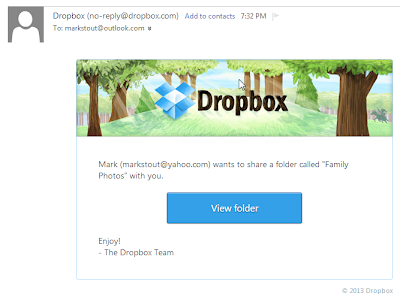 h. Each person will receive an email from Dropbox saying you have invited them to share this folder. i. When they click the View Folder button, they will be shown this screen. Be sure to click the Sign in link near the bottom. The form above is to create a new account. You already have an account for them. j. The next screen is a standard log in. Have them go ahead and log in. Once logged in, they will see the folder "Family Photos" is now in their folder list. k. Go ahead and log out of Dropbox. l. Repeat steps h, i, j and k for each person. a. Find your device in this list, and install the correct app. b. After installation, run the app. Each member will be prompted to log in in to their account. c. Likely during installation, you will be asked if you want to use Instant Upload. Respond that you do. e. To keep from using up all your mobile data quota, choose Wi-Fi Only, then click Turn On. f. Repeat steps a to f for each person who has a smart phone or other device. Once done, steps 1, 2 and 3 do not need to be done again, unless you obtain a new phone. the "Camera Uploads" folder in each person's Dropbox. and review the photos in their "Camera Uploads" folder. b. Any photos they want to share with the family they should click on to select. more than one photo at a time. c. Next, they click the Move button at the top of the screen. d. A dialog box appears. Use it to choose the "Family Archive" folder and click Move. use up the free two gigabytes of space. 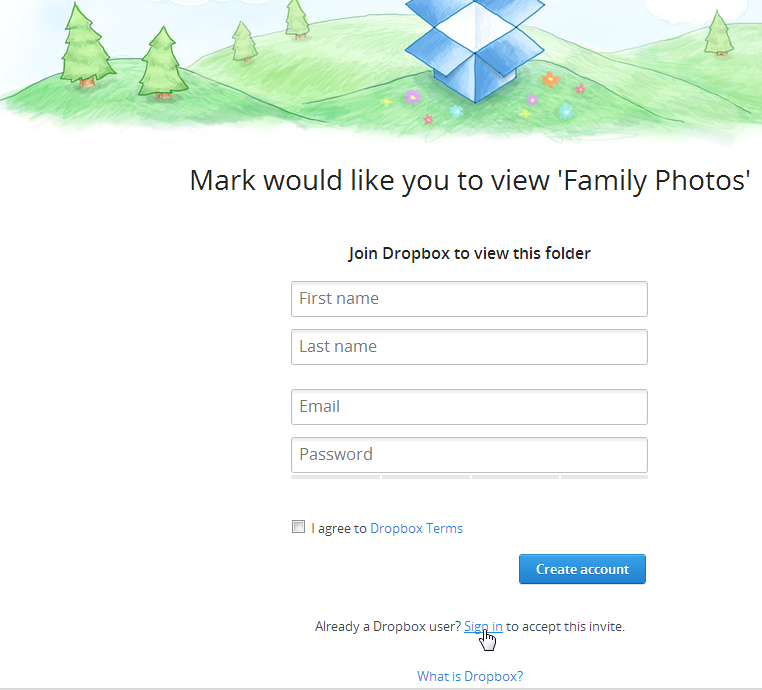 Family Photo folder counts against all the Dropbox accounts that share it. down the Shift key, click on the last photo. All the photos should then be selected. 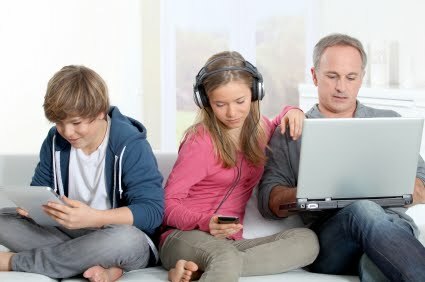 c. Click the Move button, and in the next dialog box, choose the "Family Photo Archive"
folder and click the Move button. If you have the Dropbox App installed on your PC, then the contents of "Family Photo Archive"
will sync down to your PC. but retain all your photos. second hard drive, or preferably both. If you try this out, and find any issues, or have suggestions for ways to improve, please put them in the comments. Great Article - Can you have your Iphone link photos to a SUBFOLDER in DROPBOX. Then everyone's pictures could automatically get uploaded and separated eliminating steps 4 and 5. 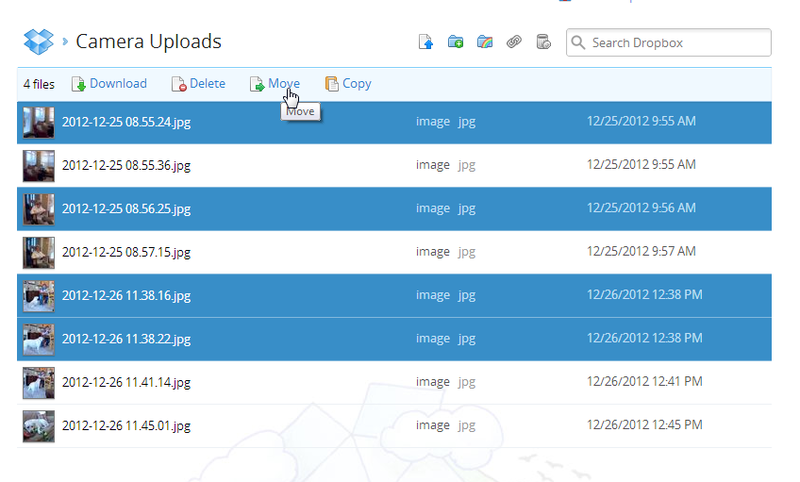 It may be by far more convenient to share the Camera Upload folder with each other. 1) Rename the Camera Upload folder on all accounts except one. 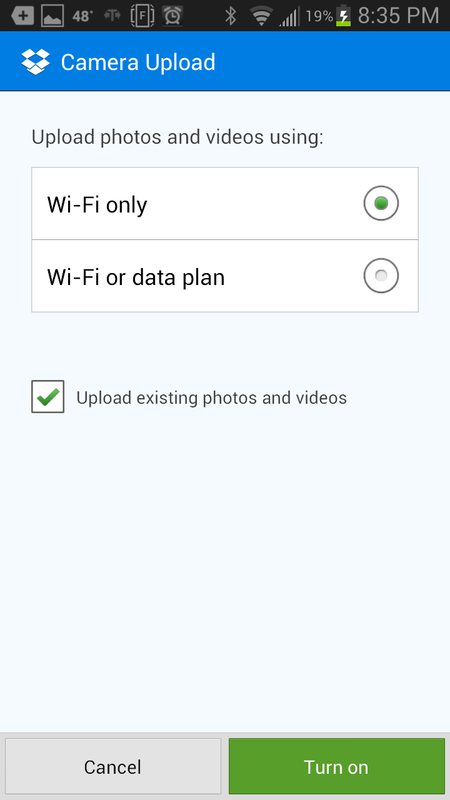 2) Share the last remaining Camera Upload folder with all other family members. 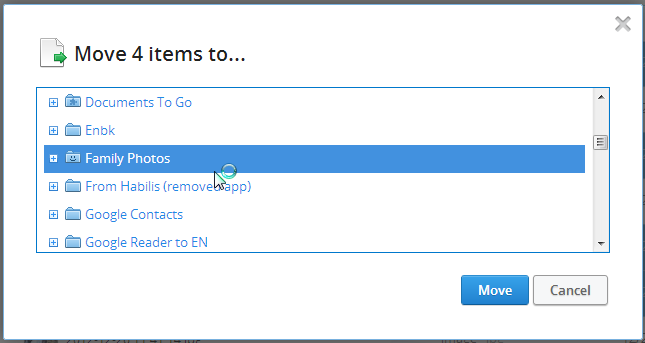 3) Move the photos from the remamed folders to the shared “new” Camera Upload folder. 4) Delete the renamed, now empty former Camera Upload folders. 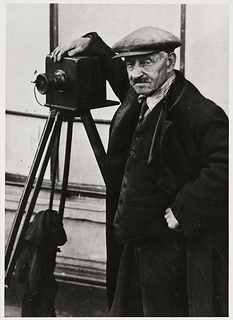 By that, every Camera Upload from every account will now instantly be shared (a kind of photo stream). No need to ever manage or move files again.